Sweetly UK has just launched their first ever subscription box and I have it right here on the blog! The lovely people over at Sweetly contacted me a little while back and asked if I wanted to give their new box a whirl and I couldn’t not. I am a bit of a subscription box fiend, I love the idea of subscription boxes, they’re like little presents that come to your door with surprises inside! 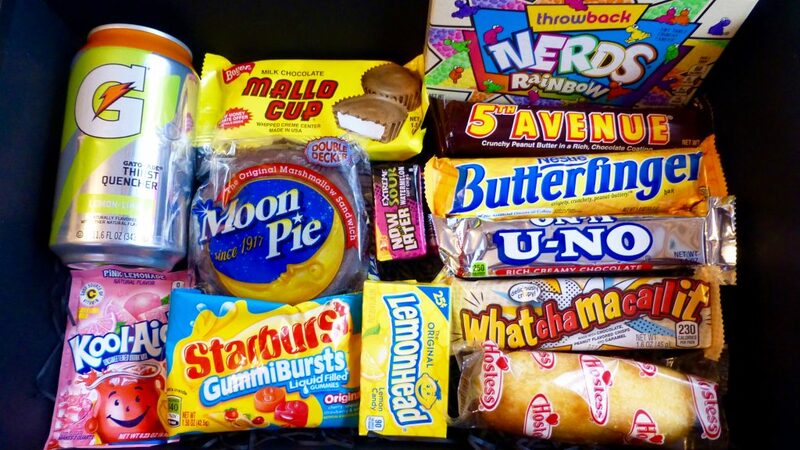 This time around the Sweetly box is bringing us American Candy to our door every month. As with all subscriptions there are varying options. Here you can sign up for a 1, 3 or 6 month plan which ranges from £13.99-£16.99, the more months you pay for the cheaper it is. Now with a price like that why should we subscribe? Sweetly state that in every single box you will get 12-14 full size items, 5 of which are premium. Now I am not sure what counts as a premium brand in America but 12-14 full size goodies is pretty darn good. For their first ever box I was pretty happy with what I received. Out of the 13 items I have actually only ever tried 3 of them- Twinkies, Nerds and Moon Pie, which is pretty good going. My peanut buttery senses were tingling and I think we all know which ones got demolished first! 5th Avenue – The best of all the peanutty flavours. 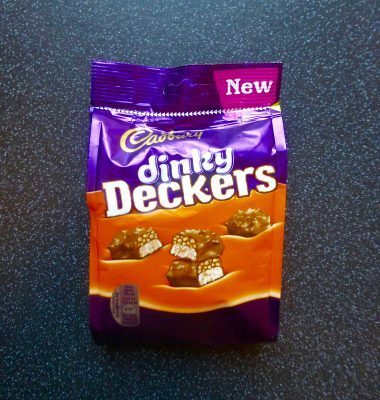 Rich peanut butter flavour in what can only be described as very sweet sheets of crunchy peanutty wafer. The dark chocolate is certainly needed to offset some of that sweetness, but all in all delicious. Whatchamacallit – Love the name but crikey what the heck is this bar. I can only assume it’s going for a Rice Crispy Squares-esque but it tastes horrible. There was no real flavour to it, just a bit cardboard like and not at all nice. Butterfinger – Although a delicious sizeable candy bar there wasn’t really any peanut flavour and simply lived up to its buttery namesake. 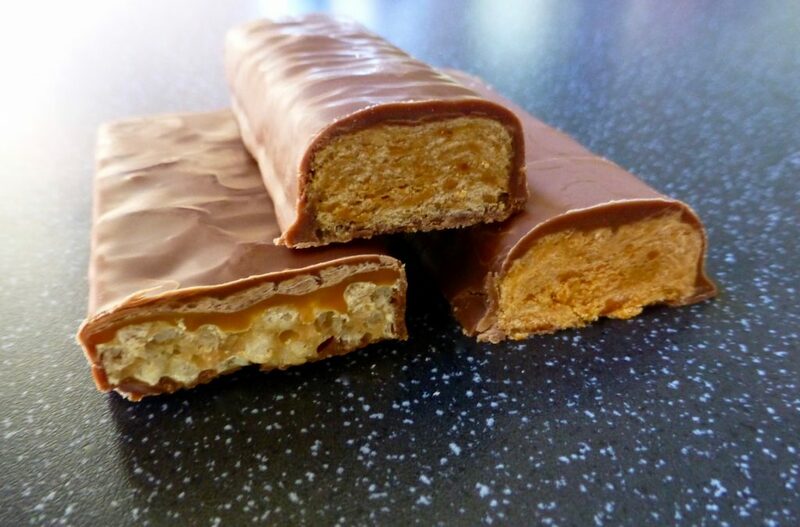 It did however remind me of a crumbly Crunchie with a softer, but very nice buttery honeycomb. Despite the lack of peanutty goodness, a very nice candy bar. In terms of the other goodies I am slowly working my way through them all. 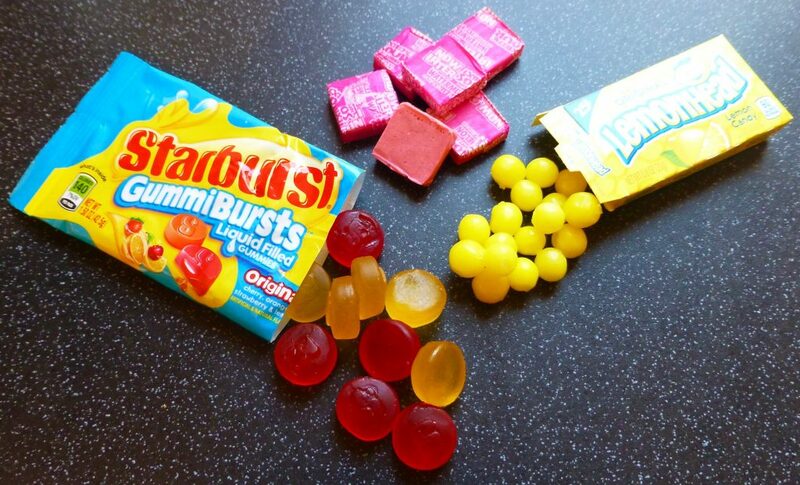 FYI I am loving those Starburst Gummies we need those over here asap! The array is certainly there, a mix of chocolate, candy and drink to suit everyone however it isn’t a box I see myself wanting every month. This isn’t because I dislike the box in anyway shape or form, I actually love it and the quality is there. The reasons would be for starters, if I received this amount every month it would either sit in the cupboard and gather dust, or I would literally be the size of a house by the end of the year. It is also a lot to get every month so I am to glad to see that Sweetly have thought about it and put a skip a month function in place. Price wise I cannot knock it, it comes in cheaper than the Taffy Mail Classic Box, you get more items, a better array, and most of which I haven’t come across before. If this has tempted you to get your own Sweetly box full of goodies, visit their website here and use my exclusive code NIBBLES10 to get 10% off! Go on what are you waiting for! *A big thank you to Sweely UK for sending me their box to try!